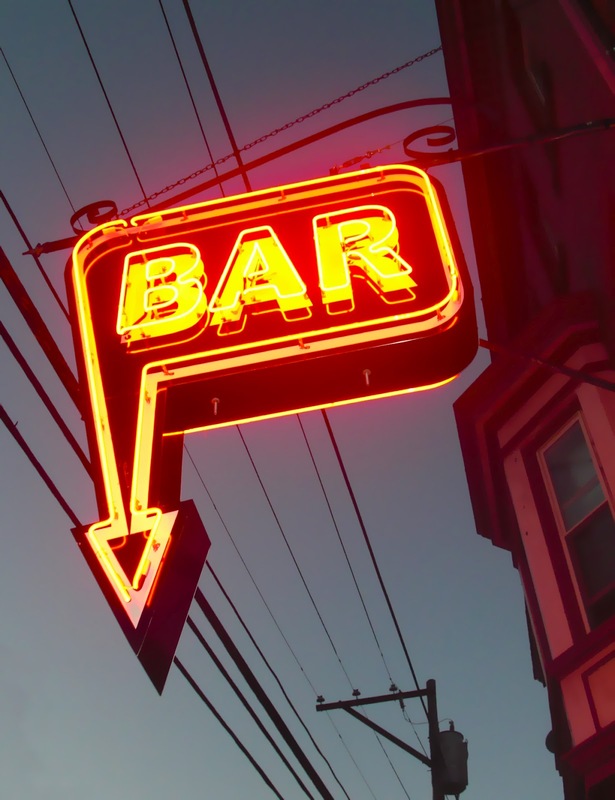 One of the most divisive issues in the harm reduction movement is the question of abstinence versus controlled drinking. This rift has come to symbolize differences over the AA philosophy, the disease model, the role of will power, and other issues related to addiction. Those who find the disease model unconvincing at best, and some sort of fraud at worst, are more likely to bristle at the notion that total abstinence is the only course available to the addict in treatment. But disease model proponents point out that, for most alcoholics, not drinking at all turns about to be easier than drinking a little. Still, for heavy drinkers who are not addicted to alcohol, cutting down often makes the most sense. Kenneth Anderson of the harm reduction group HAMS has written an article on the abstinence question which is as straightforward and free of special pleading as any I’ve seen from the harm reduction movement. 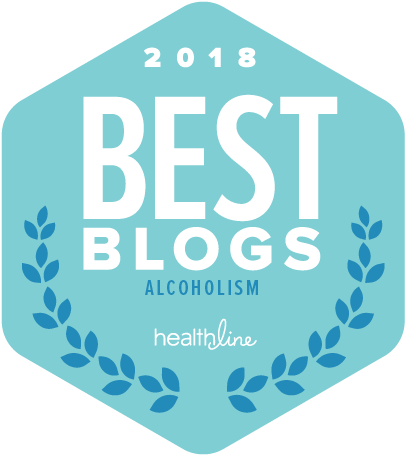 Bear in mind that I don’t agree with all of the opinions expressed in this guest post, and remain convinced that for most people who abuse alcohol regularly, sustained abstinence is the best policy. But I definitely believe it’s worth a read. If you have successfully resolved your problems with alcohol via long term (6 months or more) abstinence from alcohol then HAMS urges you to use great caution before you consider drinking again. Studies (NIAAA 2009) show that about half of persons with Alcohol Dependence resolve the problem by quitting completely. HAMS is always supportive of total abstinence as a recovery goal; since the “A” in HAMS stands for Abstinence we like to say that “Quitting drinking is our middle name.” Harm reduction strategies are aimed at those who are unwilling, unable, or not yet ready to abstain from alcohol. This includes people who have attempted abstinence and ultimately not succeeded at it but instead have gone on major benders after short abstinence periods. It also includes those who have never attempted abstinence or who currently have no interest in abstinence. Increased trauma produces increased drinking (Denning & Little 2011). The more resources people have intact, the better their odds of achieving recovery–whether abstinent or non-abstinent recovery. Harm reduction helps keep people’s resources intact enabling them to recover more quickly and easily than if they lost all. If you are succeeding at abstinence and your alcohol related problems have disappeared or are disappearing then we strongly urge you to continue with what you find to be working–i.e. abstinence. However, if you have already decided that you are going to dink again then HAMS is a safe place to experiment with controlled drinking and you will be far safer here than if you attempt this on your own with no support at all. If you are wavering and have not yet decided whether or not you wish to drink again then we strongly suggest that you do a Cost Benefit Analysis (aka a Decisional Balance Sheet) which compares the pros and cons of continuing to abstain with the pros and cons of drinking again. We also suggest that you write out a list of alcohol related losses and problems and a list of what you have gained as a result of abstinence from alcohol. People whose drug of choice was not alcohol. If you went to rehab for heroin or some other drug which was not alcohol you were probably told that you were cross addicted to all mood altering drugs and that you must never drink again or you would relapse. The simple fact is that this is not true. You may well have noticed your rehab counselors using mood altering drugs like caffeine and nicotine all the time and not calling this a relapse. The fact is that if you try to use alcohol as a direct substitute for heroin and get as drunk as possible all the time instead of shooting heroin then you will certainly have alcohol problems. However, if you get your life together and become a whole new person with a whole new life there is no chemical reason in your brain why you should not have an adult beverage at times. Opioids are directly cross-tolerant with each other; they are only slightly cross-tolerant with alcohol. Other drugs like speed are not cross tolerant with alcohol at all. We do, however, very strongly recommend that if you are an ex drug user who is choosing to drink in moderation that you track your drinks by charting. Keeping a drinking chart will help you keep your drink numbers under control and let you know if you are starting to slip out of bounds. If you find your drinking is showing a tendency to “creep” up more and more you might wish to opt to return to abstinence from alcohol. We also strongly suggest that you do your experimenting within the safety net of a HAMS group and that you write out a Cost Benefit Analysis. Another group who may tend to succeed with drinking again are those who were sowing a lot of wild oats in high school or college and wound up in rehab or an abstinence program in their teens or early twenties. If you are now in your forties you might have matured a great deal and no longer be interested in being the wild man. If you now find that moderate drinking is appealing to you but the thought of being a drunk teenager throwing up on your date’s shoes at a party is repulsive to you then you may well find success at becoming a moderate drinking. Again we suggest that you do your experimenting within the safety of a HAMS group and that you chart and do a Cost Benefit Analysis. If you had a long drinking career and a long history of alcohol related problems then the odds of returning to controlled drinking are greatly reduced. The longer the drinking career and the more problems the lower the chances of successful controlled drinking. If you think that you have a shot at becoming a successful controlled drinker, then write down what it is that has changed in your situation that you believe will make you a successful controlled drinker this time around. If nothing has changed then it may well be excruciatingly difficult to try to use the HAMS harm reduction and moderate drinking tools to become a controlled drinker. Not only may you find that your odds of success are low, but you may also find that staying within the moderate drinking limits you have set for yourself is a form of torture and that abstinence is far simpler and more pleasant. And whether you opt to continue to abstain or you choose to drink again, always remember that you and no one but you are responsible for your choices. Denning P, Little J. (2011). Practicing Harm Reduction Psychotherapy, Second Edition: An Alternative Approach to Addictions. The Guilford Press. I think it's important that this article marked the difference between people who need to be abstinent and those who don't necessarily. I know people who use alcohol inappropriately or drink too much or use it as a short-term coping mechanism, even some who drink every day - but there seems to be a difference between them and me. They do not have the 'elastic arm' that reaches back for the bottle again and again, they don't quake with horror at the thought of half-a-glass of drink tipped away, they don't obsess about alcohol, they don't get annoyed or irritated when they only have one or two. Yes these people should probably look at the way they are usng alcohol and modify the use - but abstinence would not be the only way. In fact it would probably scare them off. Whereas for me, abstinence is the only way. Been there, tried 'controlled drinking' - it was much more effort tha abstinence actually. I often hear people draw this kind of distinction but I genuinely don't think it rings true. The NESARC study referred to in this article showed that half of those with alcohol dependence who recovered did so without quitting. It is easy to dismiss these people as 'not really alcoholic' but I genuinely think if you looked at them they are not simply hard drinkers. Using my own case as an example, I remember well the feeling of being an alcoholic. I remember telling myself all day I wasn't going to buy booze, then going out and drinking three bottles of wine. I remember the agony about spilt drinks that you describe, the feeling of horror and agony when you run out of booze and you're "not drunk enough". I remember going to the gay bar in town over and over again (not being gay) because I'd run out of booze. I went to AA, and hallucinated images of people in the foggy rain on the way there. A couple of days later, I ran out of booze (as usual I'd decided to quit drinking that day), and sprinted, with a laptop on my back (I'd been too drunk to drop it off at my house when I went there earlier), to the last store that was open. When it wasn't, I went to a club, drank 12 shots of whiskey, left cussing at everybody in sight, and ended up collapsing under the weight of my laptop. Soon I was trying to assault police officers while restrained in an ambulance. Soon after that my roommates kicked me out. I don't say any of this with pride. It's rather painful to bring this stuff up, but I do because I genuinely feel that it was by totally rejecting AA and by following the kind of principles advocated by Kenneth Anderson and Stanton Peele and others that I was able to quit, and subsequently able to moderate. I don't knock people who find it easier to abstain, and I am not saying that it is easy to moderate or that it is the best option for everybody. However, I find it incredibly disingenuous for people to say that anyone who displays x, y and z symptoms is "definitely an alcoholic", then to say that those who did show those symptoms but no longer do were "probably never alcoholics in the first place". But why not? If this is the definition of alcoholism then why are those who now moderated (or god-forbid even those that quit without AA and didn't receive the meaningless "dry drunk" label) dismissed as problem drinkers and not real alcoholics ? Because "alcoholism is a chronic, progressive disease"? But then what evidence is there of this assertion? Unless we're going to say, alcoholics can't drink moderately 'by definition, but then we'd have to scrap our original definition as inconsistent with reality, given the number of people experience the subjective feeling of 'loss of control' but eventually recover from it. There's no doubting that a certain number of hell-bent alcoholics end up learning to moderate, at least for awhile, and sometimes for good. I'm not going to argue here about the approach taken by Stanton Peele and Kenneth Anderson. If it worked for you I'm glad to hear it. However, I think a majority of people who would be diagnosed as alcoholics would prefer abstinence to moderation, as I did. For me, abstinence, hard as it was to achieve, was the easier choice. The only choice, actually.